Braun Intertec was a key member of three projects that were recently recognized at the 2016 ACEC Minnesota Engineering Excellence Awards banquet. For 49 years, these awards have recognized engineering achievements within Minnesota that exhibit the highest degree of merit and ingenuity. 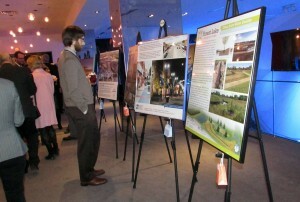 A total of 31 projects were submitted this year, and of those projects there were 10 Grand awards and 21 Honor awards given. The three projects which Braun Intertec was recognized for were: Lindau Lane Grade Separation, which won a Grand award; CHS Field, which won an honor award; and Warner Road Bridge, which also won an honor award. As a Grand award winner, the Lindau Lane Grade Separation project is eligible to move on to the ACEC National Engineering Excellence Competition in April. 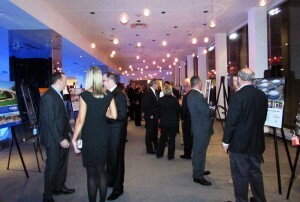 During the awards banquet the attendees voted on their favorite project out of all of the submissions. 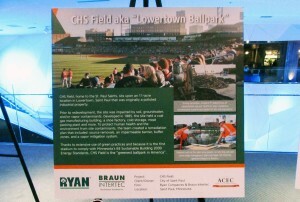 Having received the most votes, Braun Intertec and Ryan Companies were awarded the People’s Choice Award for their work on CHS Field. Congratulations to all of the 2016 award winners! Hey! We noticed that you've already signed up for the newsletter. Thanks for subscribing. What Value Can a Geotechnical Engineering Consultant Bring? How can our science be part of your next success?